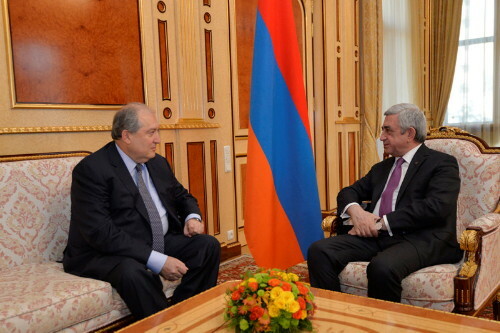 Today Armen Sarkissian had a meeting with President Serzh Sargsyan. “I think the fourth President of the Republic of Armenia should be a skilled and bright individual. 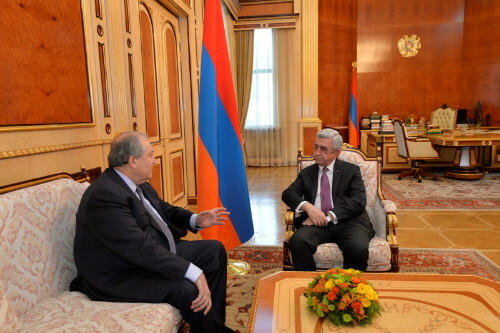 society to mitigate tensions, if needed, President Sargsyan said at the meeting. Party of Armenia for the trust, adding that the proposal is an honor to him. representatives of the scientific, intellectual circles, NGOs, businessmen and the working class. He said he needs time to make a final decision. University (Department of Theoretical Physics and Mathematics). of Armenia,National Competitiveness Council of Armenia, and others. All Armenians in Holy Etchmiadzin. professor at the University of Cambridge. 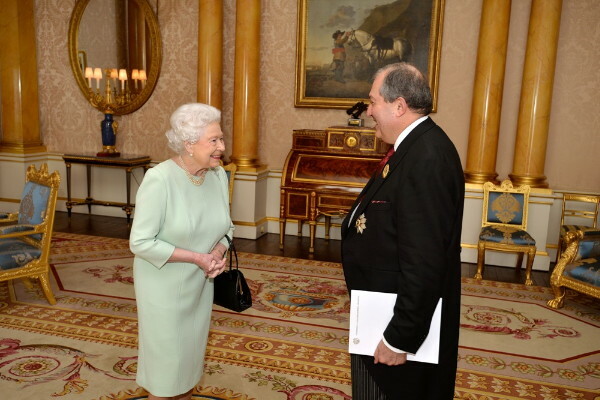 In October 1991, Dr. Sarkissian established the first Armenian Embassy in the West in London. Europe. He was reappointed Ambassador to the United Kingdom in 1998. Governor of EBRD from 1993-2000.
professionals in the Eurasia region. including BP, Alcatel, Telefonica, Finmeccanica, Bekaerd, and others. Eurasia House International in London. 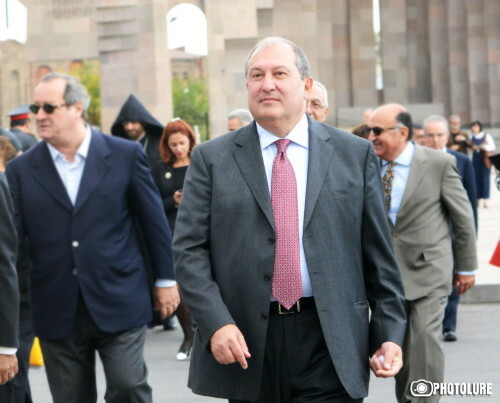 The Armenian National Assembly is set to elect Armenia’s 4th President on March 2nd.